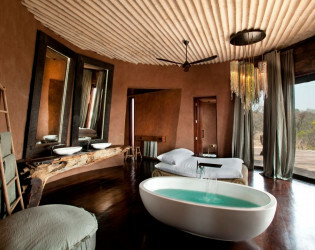 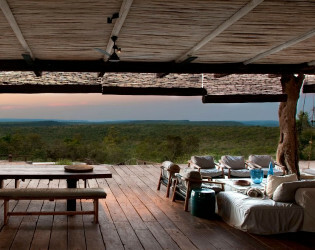 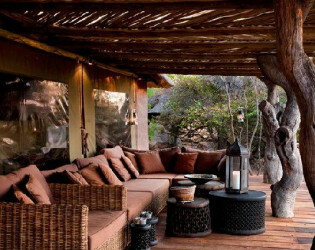 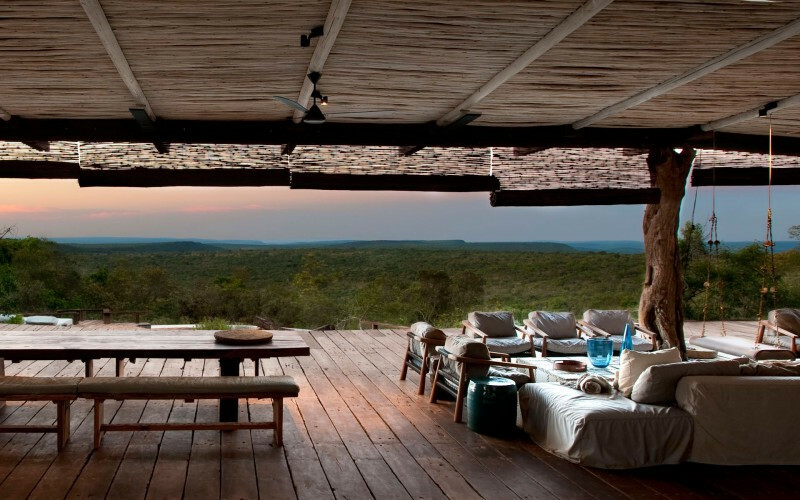 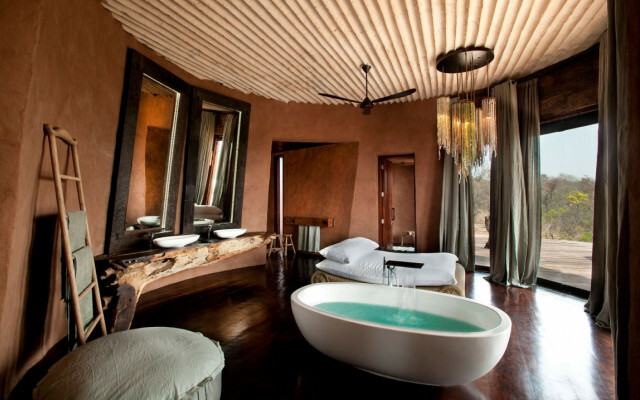 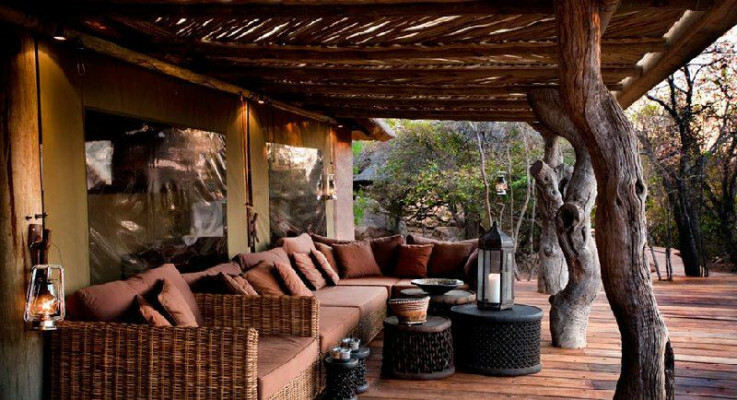 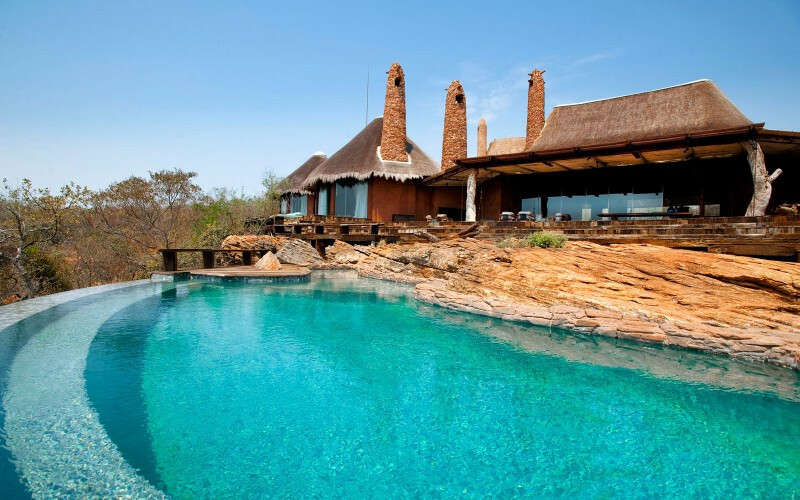 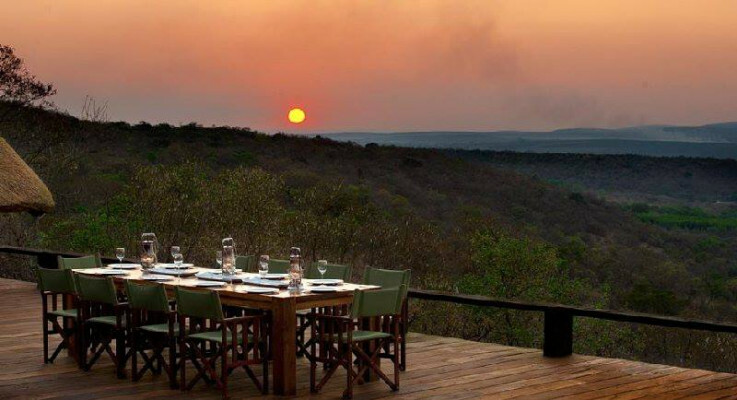 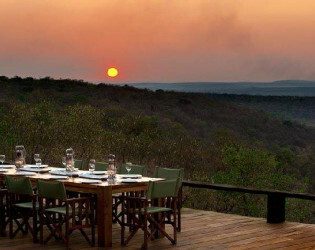 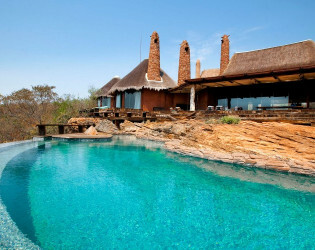 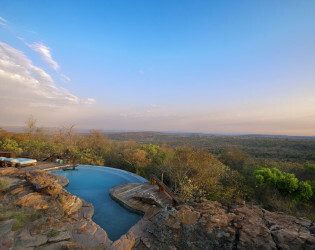 Answer the call of the wild and de-camp to this 20,000 acre private estate in bushveld of South Africa. 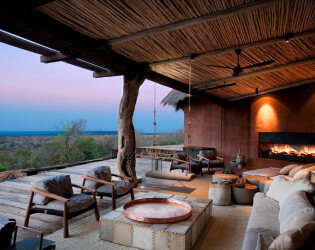 Intimate, bespoke event experiences are the name of the 'game' here in the veld. Modern luxe touches like infinity plunge pool, helicopter at your disposal and Michelin-starred chef will ensure you & yours are rough-luxe-ing it. Leobo Observatory sits in a private 20,000 acre reserve in the Waterberg, South Africa. 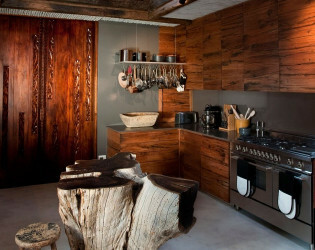 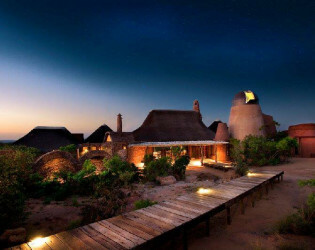 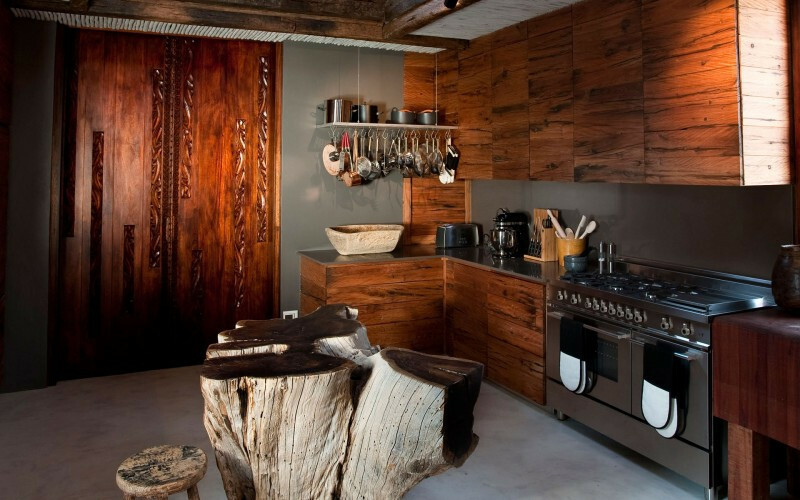 Designed by award-winning architects Silvio Rech and Lesley Carstens. 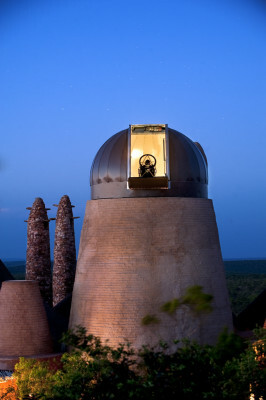 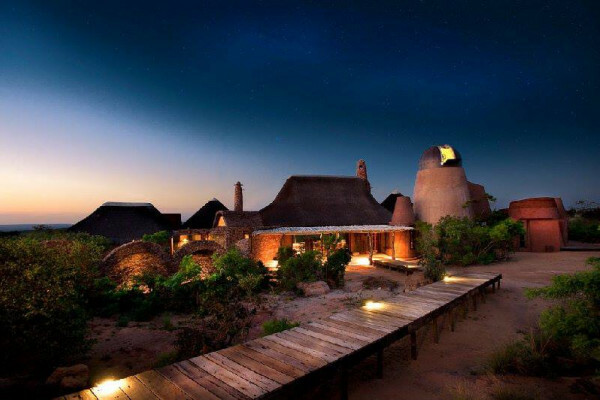 The Observatory combines awe-inspiring science with contemporary African elegance. 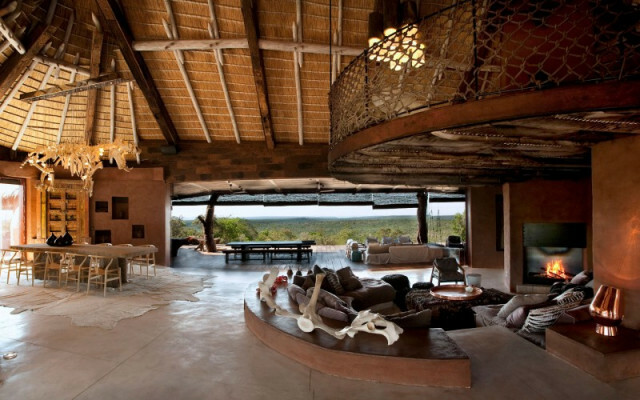 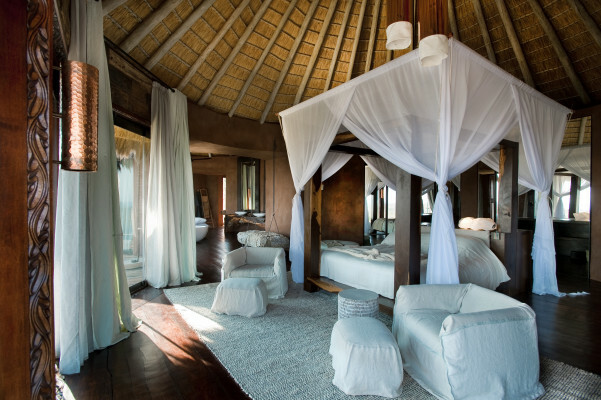 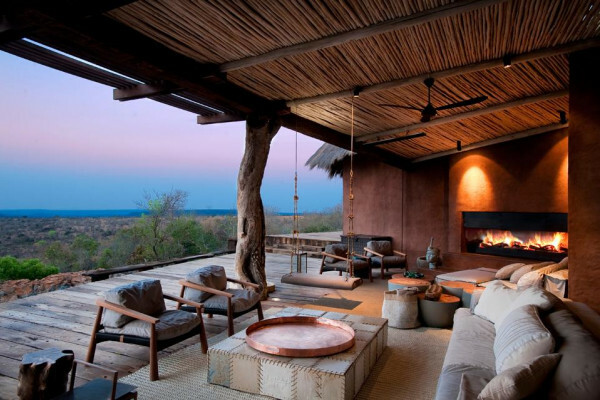 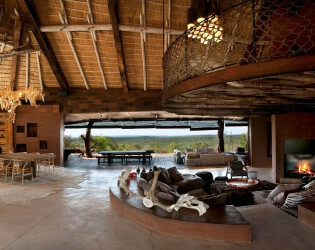 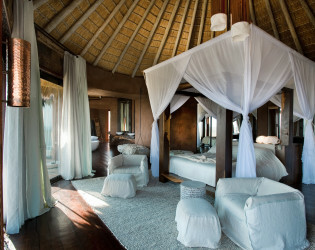 The astounding expanse of the living area allows guests to enjoy the view over the African bush, sit by the fireplace or dine under an immense hippo-skeleton chandelier; a mezzanine level above provides an entertainment space for TV or games. 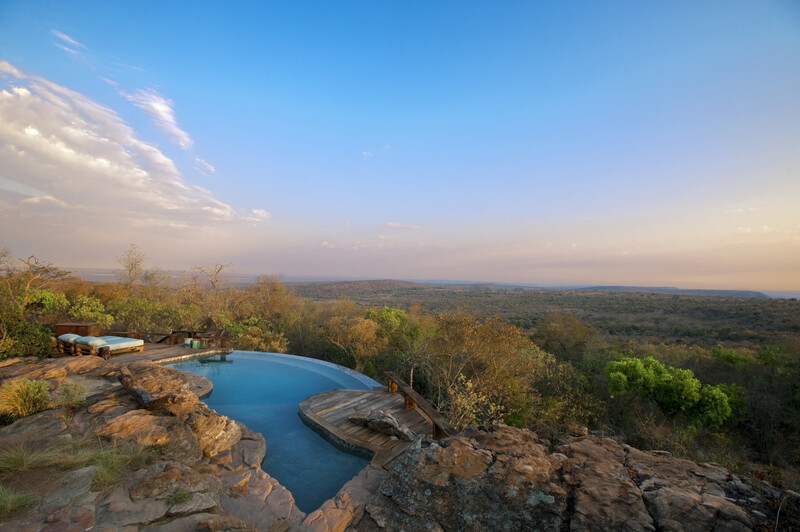 Outside, the deck with covered veranda leads to a heated infinity pool which blends in beautifully with its natural surroundings. 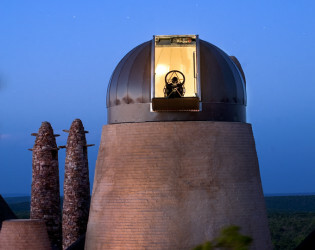 The Observatory is a remarkable stone and glass house with lustrous copper features, the most outstanding of which is the huge dome housing the astrological observatory. 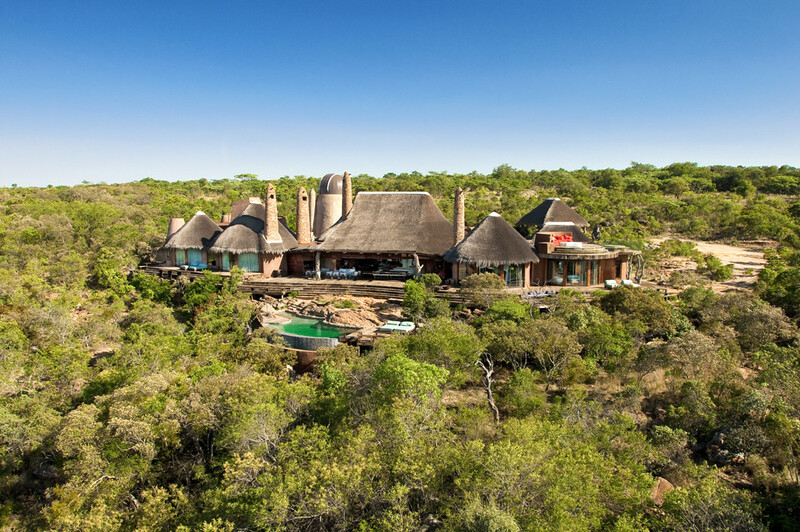 Tucked under this dome is the two-storey library with an open fireplace. 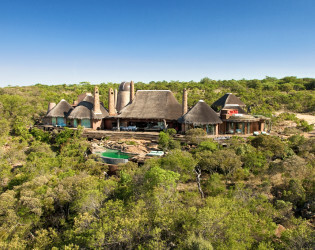 Enjoy the entire 20,000 acre reserve to your selves to enjoy endless activities and truly enjoy your own African Bush Villa.